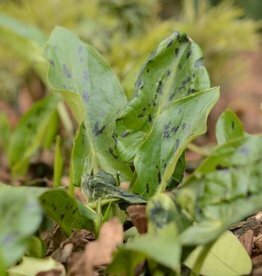 The well known Italian arum grows well in shady spots. This Arum has white veins running through its leaves and has in the autumn stunning orangey-red berries. 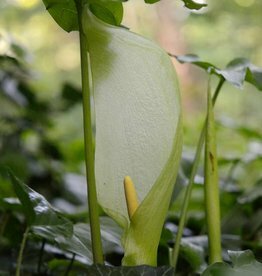 Less often used in the garden is the native Cuckoo pint (Lords and ladies), but it´s still a beautiful plant to be recommended.